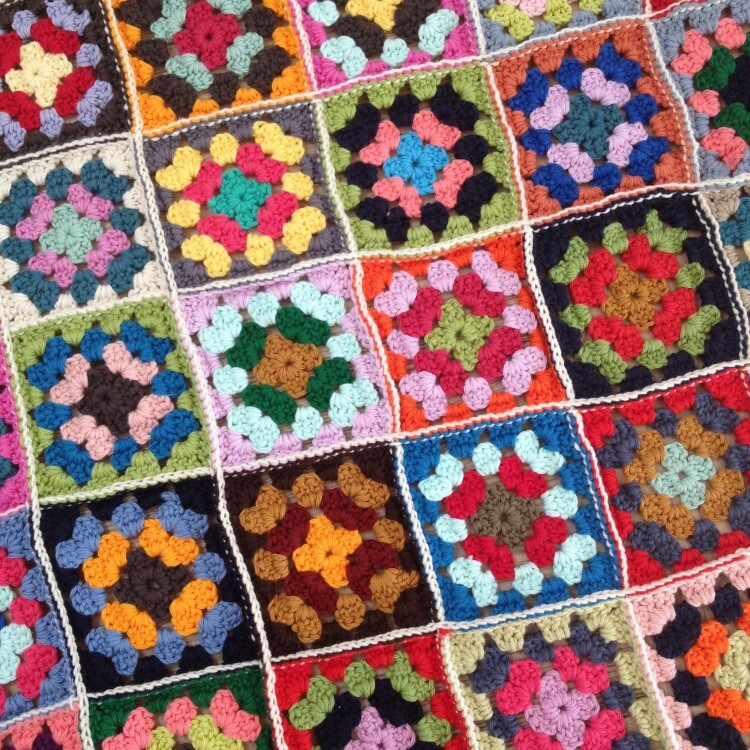 Crocheting granny squares is one of the easiest things to crochet and therefore probably quite a popular project. 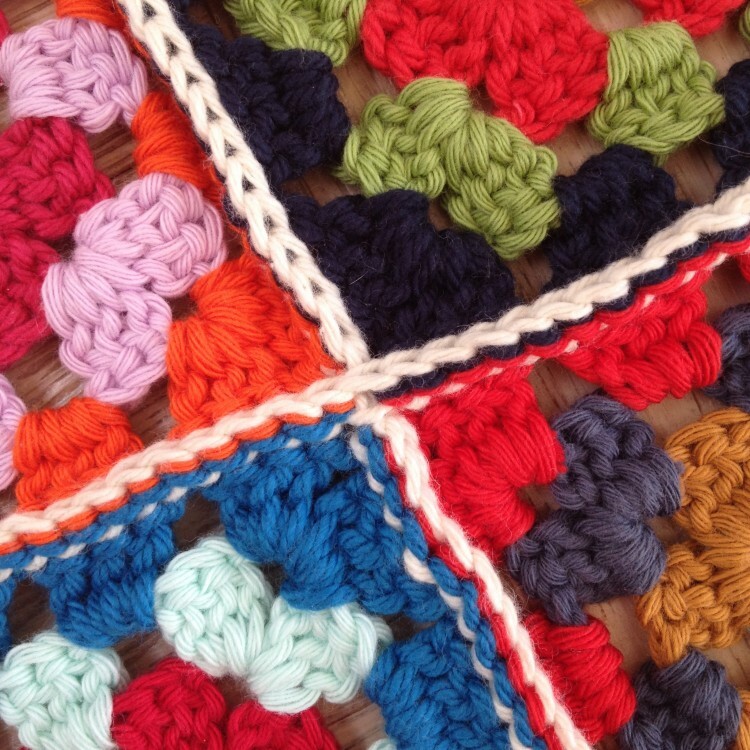 I have already written a few posts which show off some granny square blankets (Granny Square Blanket & Baby Blanket) and so I thought it may be useful to show a really simple way of joining the squares together. Hold two granny squares together with right sides on the inside and the wrong sides on the outside. Insert your crochet hook into the outer loops of each square and begin to slip stitch your way across. Don’t forget to leave enough yarn at the beginning in order to weave in ends. 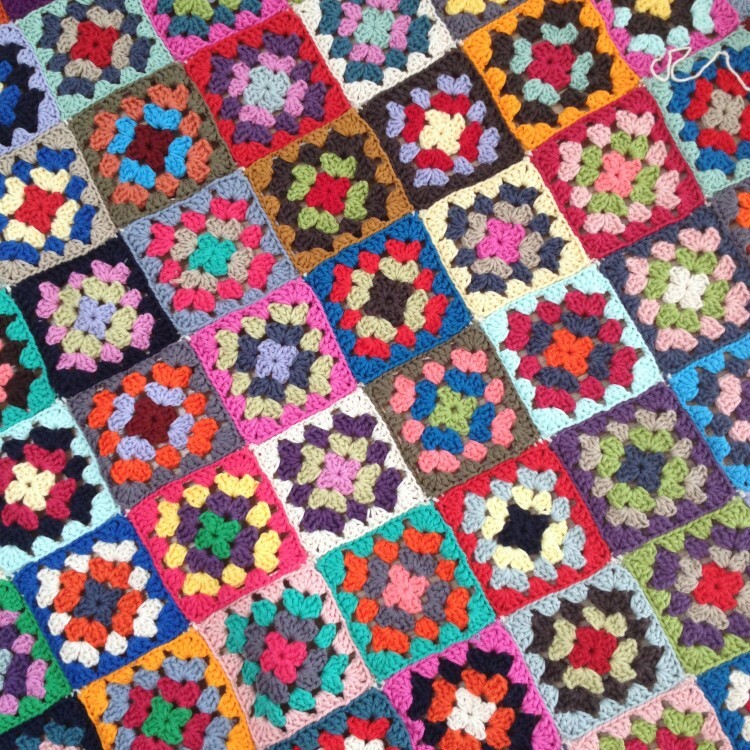 Just join on another two granny squares once you have slip stitched along the edge. When you turn over your blanket, the join will not be noticeable!